Today is a very special day for longtime League of Legends fans. Today is the day that Riot finally brought Poppy back. 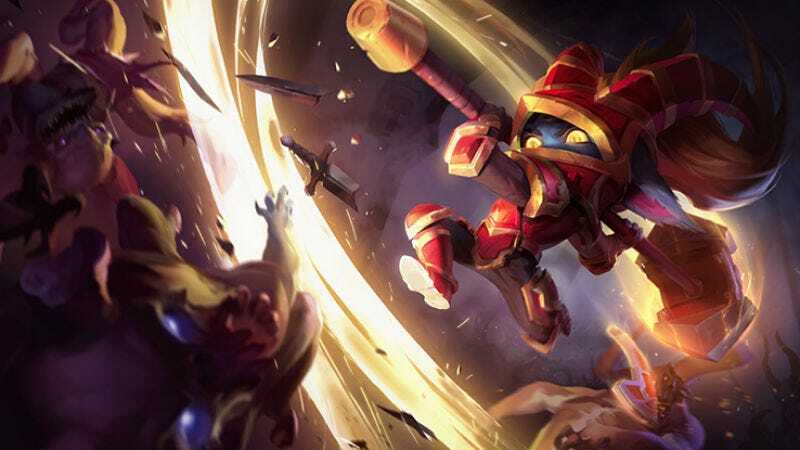 Her old Q was a similar hammer-swing attack, but all that one did was deal normal attack damage plus “a flat amount and 8% of the target’s max Health as bonus damage.” The new Q sounds like it gives Poppy a lot more utility than the old one did—particularly in team fights, or, if she’s jungling, when executing an ambush (“ganking” in MOBA-speak) on an enemy in-lane earlier in a match. But perhaps more importantly, it just looks like it’s more fun. Oh, and how could I forget the new splash art. It wouldn’t be a League of Legends character update without some new splash art!! I can’t say anything for certain about how the new Poppy will work out once she’s come into League of Legends, but this new rework has already managed to make me interested in trying out a character I had no interest in playing as before.